With 28 colour and black & white plates of flies, two folding charts, illustrations throughout text. Edited by Rev. John Adams, B.D. Illustrated with many full page black and white plates, as well as in text drawings. 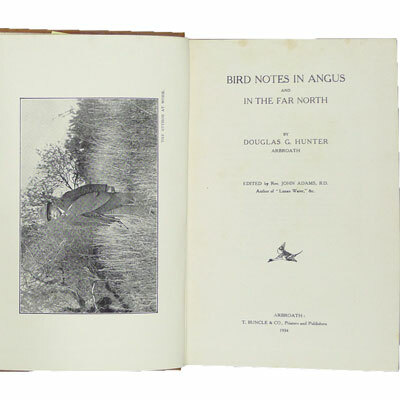 Inscribed by the daughter of Douglas G. Hunter. Nice bookplate. 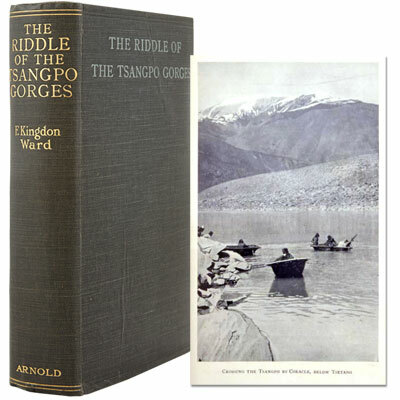 A near fine example of this important work, describing the period spanning 1924-25, during which Kingdon-Ward made what was probably his most famous and successful expedition, in the company of Lord Cawdor, to Bhutan and south-east Tibet, during which, in addition to ‘The Riddle’, related to the existence, or not, of the ‘Falls of Brahmaputra’, he collected ninety-seven varieties of rhododendron, and the first viable blue poppy seed. The Brooke-Hitching copy, housed in custom slipcase. 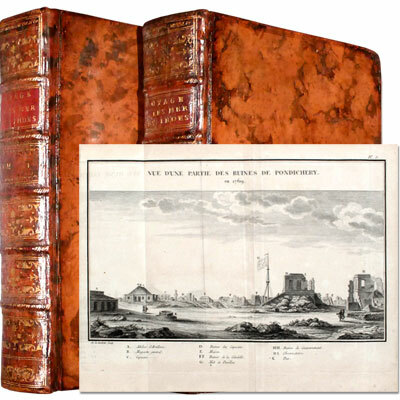 Illustrated with a folding coloured map, and 21 photographs on 16 plates. 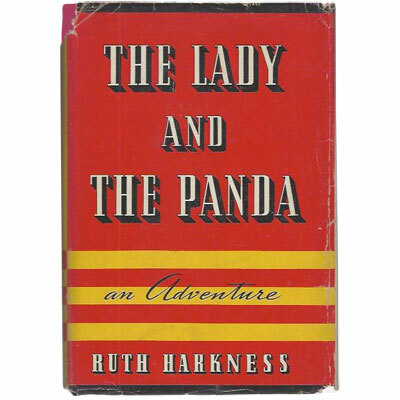 Rare first edition of perhaps the world's best known dog story, Lassie’s separation from her destitute family, escape from her new owner and epic journey from the North of Scotland back to Yorkshire. With wonderful illustrations by Marguerite Kirmse. In the 1943 movie a 10 year old Elizabeth Taylor played the Duke’s grand daughter. ‘Two monumental volumes... crammed with details on astronomy, navigation, and natural history... His descriptions of life in Manila, Pondicherry, and Madagascar are invaluable’ (Dunmore). A stunning set In contemporary bindings and illustrated with twenty seven folding copper engravings showing two world maps, maps charts and plans of Eastern and Western Philippines, Bay of Manila, Philippine Harbours, Manilla, Madagascar and it’s coastline, Isle de France (Mauritius), Isle de Bourbon (Réunion), Quartier S. Denis on Réunion, Eastern and Western Straits of Malacca, and Pondicherry. Together with engraved plates of animals and plant life, the ruins of Pondicherry, pagodas, Indian deities, and charts of comets and constellations. ‘In addition to the scientific details for which the voyage was undertaken, the first volume treats of the manners, customs, and religion or the people of the Malabar Coast and of the astronomy of the Brahmins. The second volume contains elaborate accounts of the Philippine Islands, Madagascar, Mauritius, and Bourbon and their inhabitants, including views and charts of the Philippines. Le Gentil gives details of the Islands, their climate, volcanoes, fertility, fruits, birds, animals, peoples, language, history, and description of Manila, the government, ecclesiastical and civil, commerce, &c.’ (Edwards). 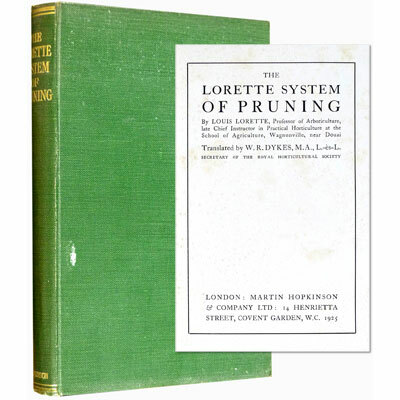 The classic work which revolutionized the pruning of fruit trees, rare in first edition and such nice condition. Illustrated with diagrams and photographic plates.